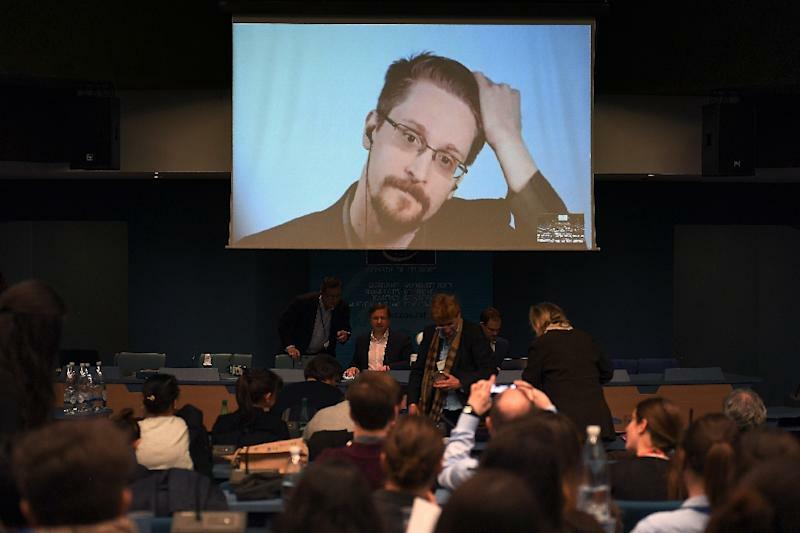 Toronto (Canada) (AFP) - A woman who helped Edward Snowden hide in Hong Kong after his leaks exposed US global surveillance programs arrived Monday in Canada with her daughter, where they were granted asylum. "Now me and Keana are permanent residents in Canada. Now we are safe and free. I'm so grateful," Vanessa Rodel, 42, told reporters at Toronto airport, accompanied by her seven-year-old daughter Keana. "They opened their doors to me," Snowden told Radio-Canada about the people who sheltered him. "They knew what it was like to be hunted, to be chased, to be retaliated against." In a tweet in French, he gave "thanks to all who, in Canada and across the world, made this possible. After so many years, the first of the families who helped me is free, and has a future." "But the work is not over. With solidarity and compassion, Canada can save all of them," he added. Canadian Prime Minister Justin Trudeau declined to comment, saying it would be inappropriate to do so in "a situation regarding a specific case." Asked during a Washington visit whether the granting of asylum might harm US-Canadian relations, Freeland told reporters that Ottawa based its decision on case-by-case considerations, not "geopolitical relations." A spokesperson for Canada's immigration ministry also declined to comment except to say that in "exceptional circumstances" requests for asylum can be accelerated.